Not ready for full custom coaching? Podium Training Systems provides semi-custom training plans to fit every race distance and ability - These are some of the best training plans available online. What's a semi-custom training plan? We don't believe in providing static plans that simply tell you to go swim, bike, or run, without consideration of properly working the energy systems and your individual physiology. Our training plans take your current abilities into consideration through initial baseline testing across all disciplines. Output zones and training intervals are created based on heart rate for the run, pace for the swim, and power or heart rate on the bike. Your training is then specifically tailored to you. Regular re-testing ensures that all of your training is providing the best impact through the duration of your training. To further set us apart from most of the static plans available online, we take it a step further. We include one on one consultations to ensure that any questions you might have regarding the structure, baseline testing, and training prescription are answered and you are fully ready to embark on your triathlon training journey. Once your training plan is purchased and loaded into Training Peaks, we’ll schedule your one hour individual consultation with Coach Dave and to ensure that your plan is exactly what you need. Any of the below plans can be augmented to fully fit your needs. Need something just a little different? Just ask. This 16 week run-up plan is for the triathlete with a solid base (including aerobic and race specific / speed work) looking for a training plan to take then through the final four months into their target Olympic distance event. Regardless of your ability, this plan will challenge you and ensure that you are prepared for your race by challenging you and improving your overall performance. This 20 week Half Ironman / 70.3 training plan is for the intermediate to advanced triathlete who has a solid base and is looking for a higher performance training plan to take then from final base preparation into a final build and taper period. This plan includes all pertinent aspects: Aerobic endurance, speed, speed endurance / threshold and will test your fitness. Included is a training plan guide that contains valuable information regarding the plan, as well as details on training philosophy and methodologies. 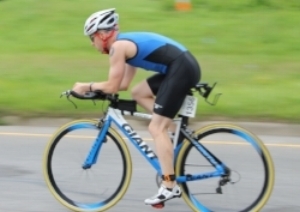 This 24 week Ironman training plan is for the intermediate to advanced triathlete who has a solid base (including aerobic and race specific / speed work) looking for a training plan to take then from final base preparation into a final build and taper period. This 16 week run-up plan is for the off-road triathlete, who has a solid base and is looking for a training plan to get them through the final four months with confidence. Solid swimming sessions, combined with strength and power focused workouts on the mountain bike will ensure your race day preparation is complete. This plan includes all pertinent aspects: Aerobic endurance, speed, speed endurance / threshold and will test your fitness. Training plans with a swim-only focus for the triathlete and open water swimmer can now be customized to your needs. Four, five, or six months of swim training can be created to target your primary "A" race of the season. Baseline testing and a focus on all energy systems (aerobic, anaerobic, lactate) are included. There are no refunds on purchased training plans.